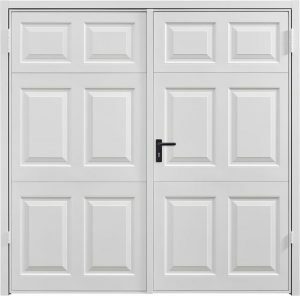 Like the Up & Over door the side hinged Garage door is available in Steel, GRP and Timber but unlike the Up & Over Door there is also an additional options for the doors to be made of Aluminium and doors that are insulated. 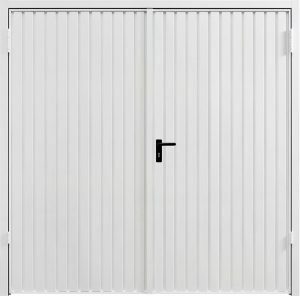 Side hinged garage doors open outwards and therefore need good clearance when being opened so they are not great if you have a short driveway or open directly onto a public area making them a great choice if there is limited clearance inside your garage. 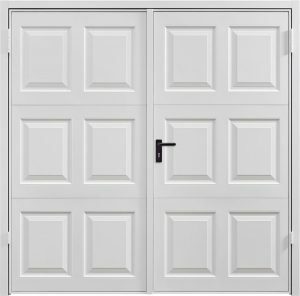 We offer side hinged garage doors from all of the major Garage Door manufacturers, including Hormann, Garador, Woodrite & Teckentrup / CarTeck. 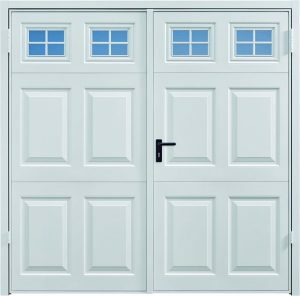 The most common side hinged garage doors are steel or timber and are available in a range of designs and colours to suit most tastes. 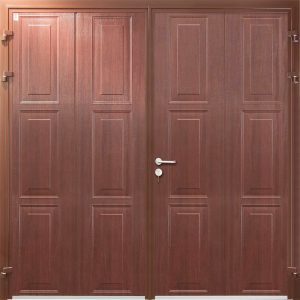 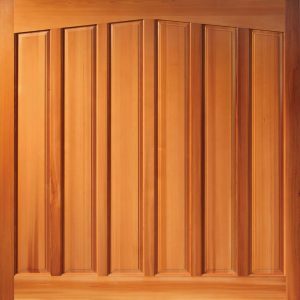 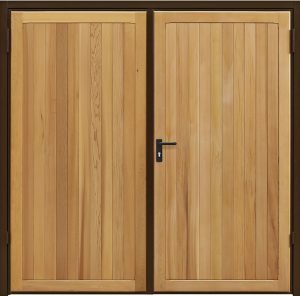 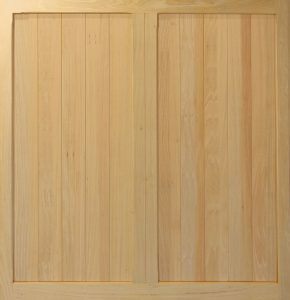 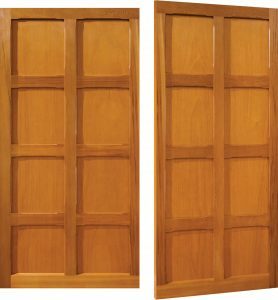 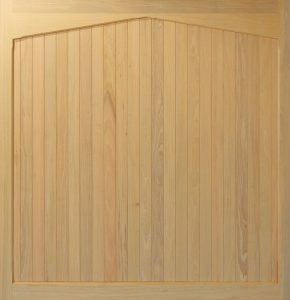 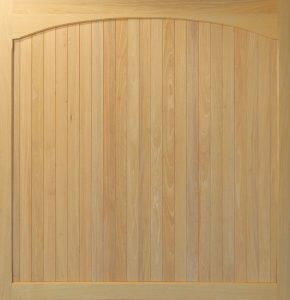 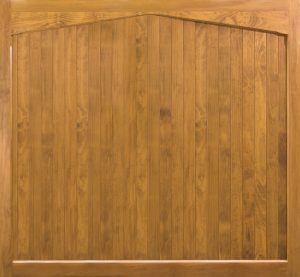 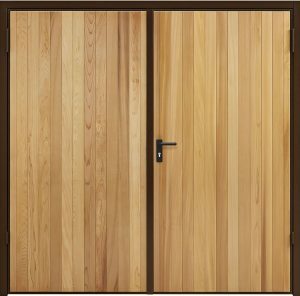 The doors are typically built around a strong steel box section chassis, although other options such as matching solid timber frames are available with some suppliers such as Woodrite. 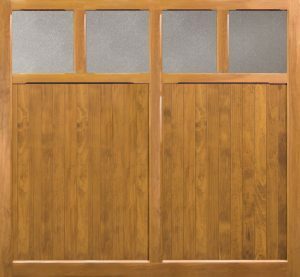 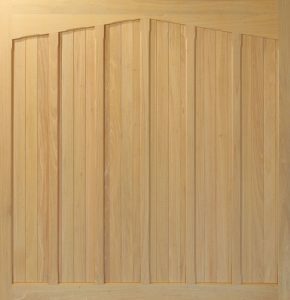 Side hinged garage doors come with the right hand door leaf leading as standard (viewed outside to in) with the option of either having a 50/50 door split or a 2/3rd 1/3rd door split. Door stays are recommended in windy locations and a number of manufacturers offer these as standard. 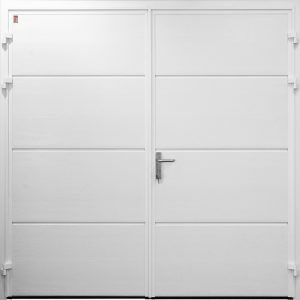 Side hinged garage doors typically have shoot bolts on the top and bottom to secure the doors. 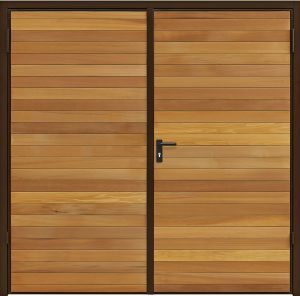 They typically come with a black lever style handle inside and out and a euro barrel lock and key as standard. 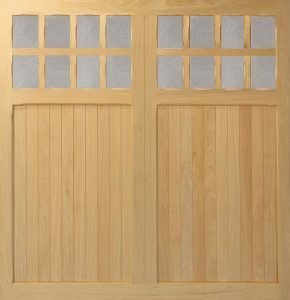 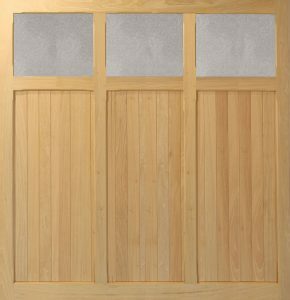 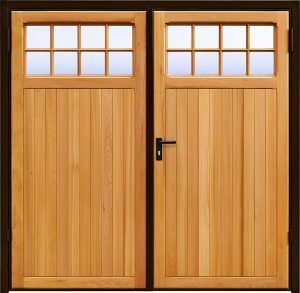 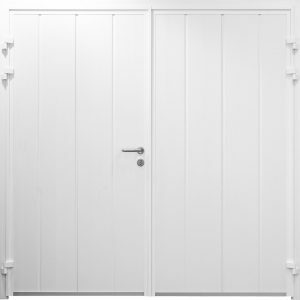 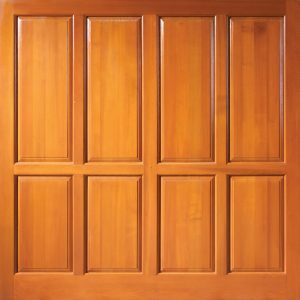 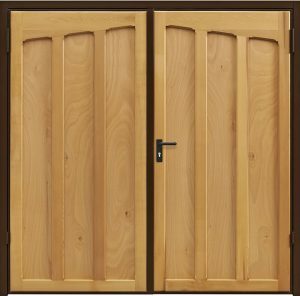 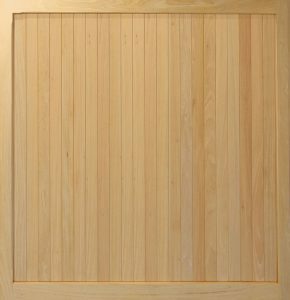 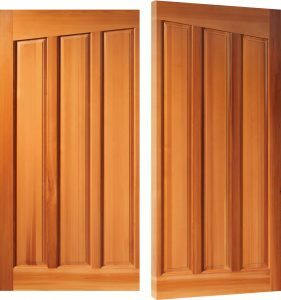 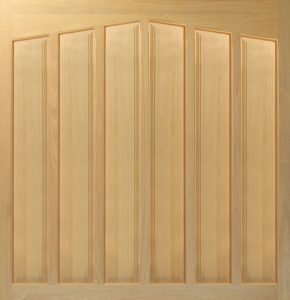 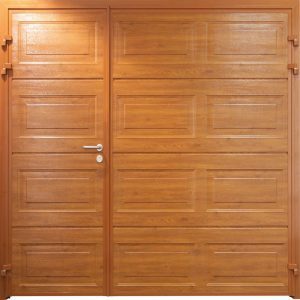 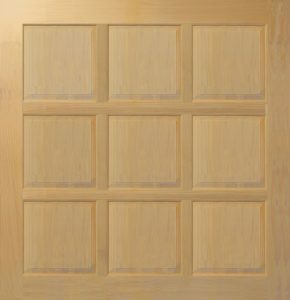 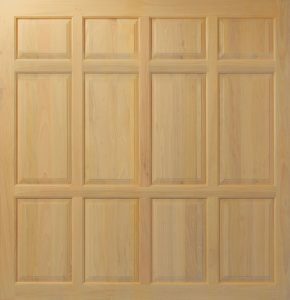 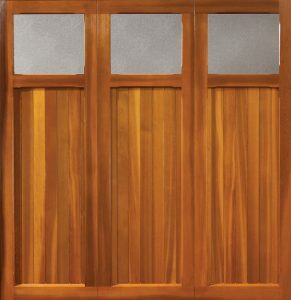 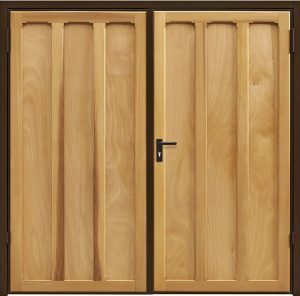 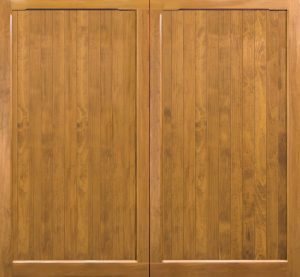 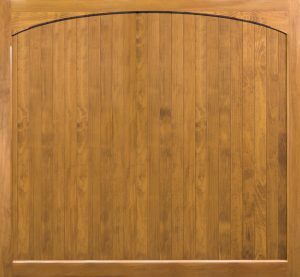 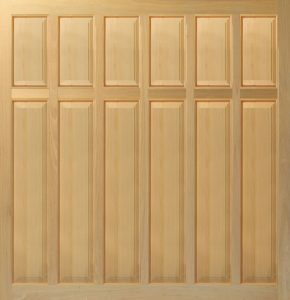 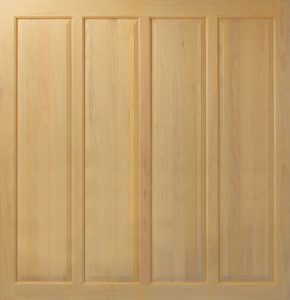 Unlike Up & Over doors, some manufacturers such as Hormann and Teckentrup offer an insulated Side-Hinged doors option. 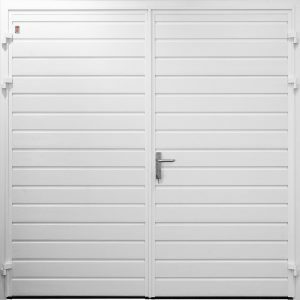 Insulated Side Hinged Garage Doors are generally made from a hollow section aluminium with a solid panel and high-grade fixings. 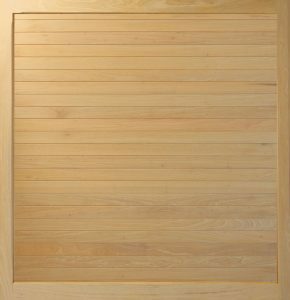 The insulation infill does vary in size depending on manufacturer but is typically no less than 40mm. 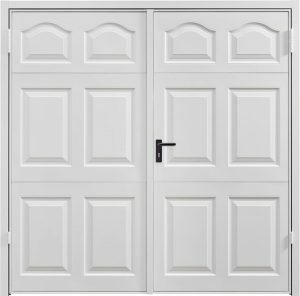 There are a number of upgrades that are available with the insulated doors such as 3 point locking, raised threshold profiles and RAL to Choose colour matching. 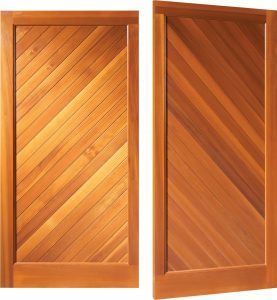 There are a variety of handle and window designs available with all major manufacturers offering customers the chance to customise their door to suit the design and style of their property. 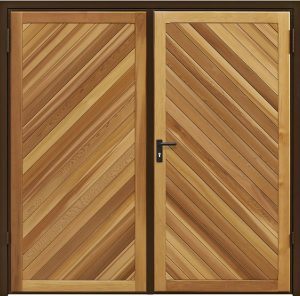 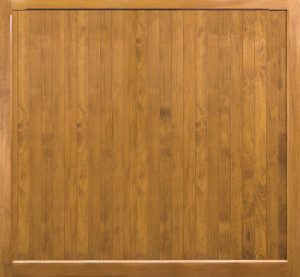 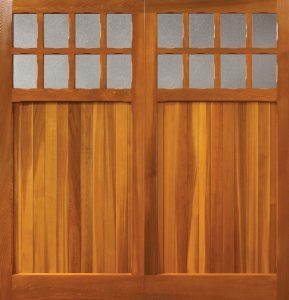 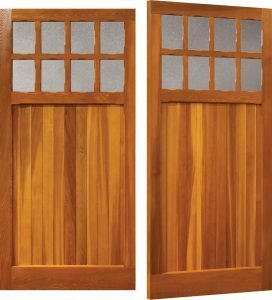 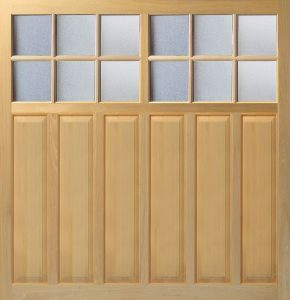 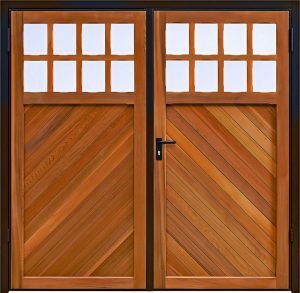 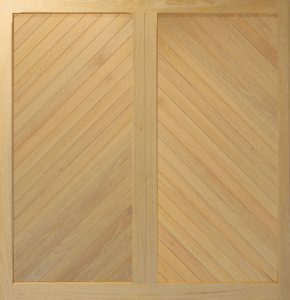 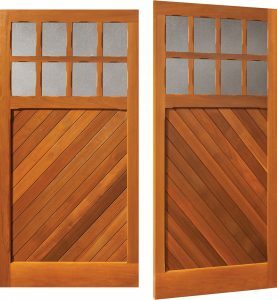 Garador offer 18 standard colours on their steel door range while Woodrite offer 5 types of timber with over 40 stain options. Although it is not common, it is possible to automate side-hinged doors using Hormann’s specialist boom and hinged door fitting kit.